The huge variety of Rubber and PVC hoses and tubings available means it is important to offer the correct product for our customers needs, fortunately the knowledge and experience gained over the years mean our team can ensure that is the case, we outline the different options below. Rubber hose applications are varied, including water, air, oil, steam, chemical, shotblasting and food which include brewery hoses. All available in suction and delivery grades. 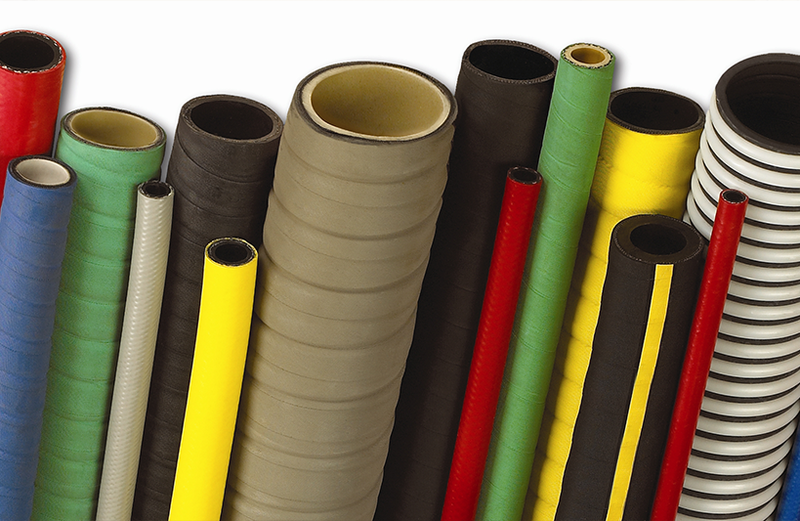 PVC industrial hoses have similar capabilities but are lighter weight and more flexible and can be a cost effective alternative to rubber, the new generation of PVC hoses are stronger and more adaptable than before, the food and pharmaceutical industries often favour PVC because of the tight radiuses they require. PVC, Nylon and Polyurethane tubings are used extensively in air supply, pneumatics, hydraulics and the food industry, from the standard Clear PVC tubing and reinforced braided grades through to nylon and PU tubing used in air lines.